Trailer for The Spectacular Now. Sutter Keely (Miles Teller) lives in the now. It's a good place for him. A high school senior, charming and self-possessed, he's the life of the party, loves his job at a men's clothing store, and has no plans for the future. A budding alcoholic, he's never far from his supersized, whisky-fortified thirst-master cup. But after being dumped by his girlfriend, Sutter gets drunk and wakes up on a lawn with Aimee Finicky (Shailene Woodley) hovering over him. She's different: the "nice girl" who reads science fiction and doesn't have a boyfriend. While Amy has dreams of a future, Sutter lives in the impressive delusion of a spectacular now, yet somehow, they're drawn together. This adaptation of Tim Tharp's novel The Spectacular Now captures the insecurity and confusion of adolescence without looking for tidy truths. Young actors rarely portray teens with the maturity that Teller and Woodleydisplay, and they are phenomenal together. 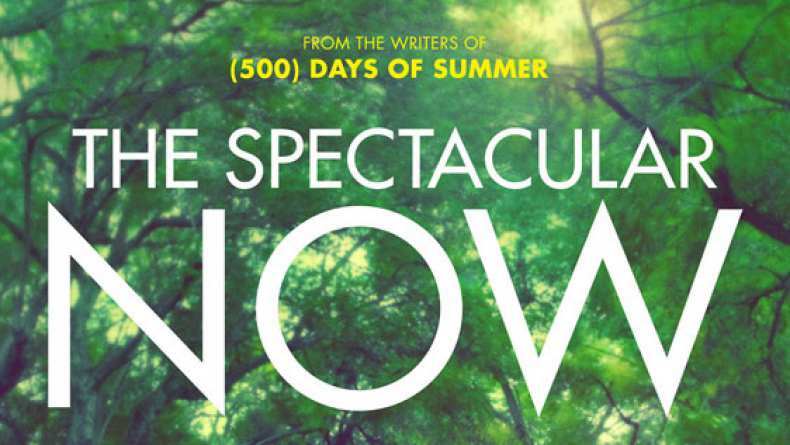 The Spectacular Now is a funny, compassionate and poignant look at young adulthood, written by (500) Days of Summer scribes Scott Neustadter and Michael H. Weber, directedby James Ponsoldt (Smashed) and produced by Tom McNulty, Shawn Levy, AndrewLauren and Michelle Krumm.